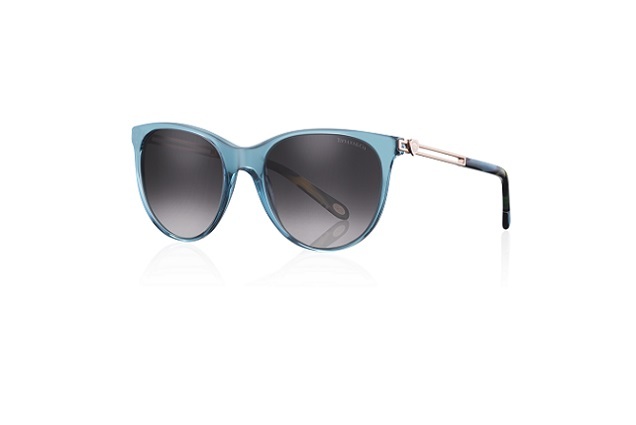 Tiffany & Co. introduces new styles in the Tiffany Eyewear collection for 2017 that takes its design cue from the new Return to Tiffany® Love wide hinged cuff inspired by the iconic key ring first introduced in 1969.The bold and beautiful Return to Tiffany Love collection is a classic reinvented, featuringa heart motif that adds a feminine edge. 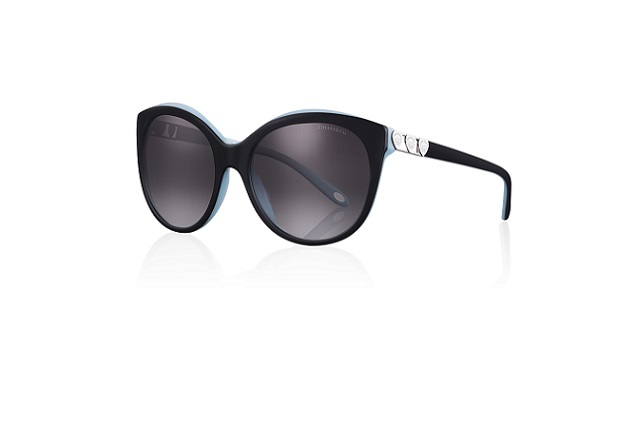 In optical wear and sunglasses, Return to Tiffany® was first introduced in 2008 and continues to evolve with sleek, smart and playful styles.Also featured is a color option inspired by Rubedo® metal, an alloy of gold and silverthat glows with a rose luminescence. Rubedo® metal was introduced in our jewelry in 2012 to honor Tiffany’s 175th anniversary; and its lustrous hue now highlights Tiffany Eyewear.The Return to Tiffany Love eyewear collection symbolizes the optimism and beauty associated with Tiffany and is a perfect gift for Valentine’s Day, Mother’s Day or any occasion to celebrate the ones you love. A sleek and sophisticated round acetate frame is designed in color combinations including Havana on Tiffany Blue and Havana, black on Tiffany Blue, green gradient pink and green, and purple gradient lilac and purple. 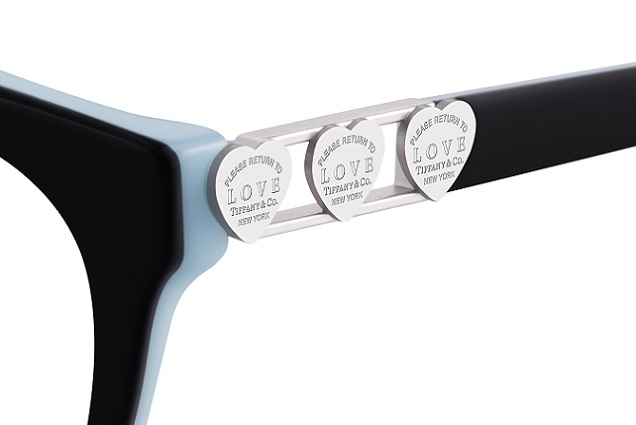 The temples incorporate the iconic “Please Return to Tiffany LOVE” heart tag accent repeated three times and are offered in silver, pale goldand a rose-colored metal inspired by Rubedo® metal. Some versions available in Asian fit. This WMN – TF 4133 style will also be featured in the new eyewear campaign launching January 2017and will appear in media outlets and select optical stores worldwide. A bold Panthos-shaped acetate frame in striking color combinations, including black on striped Tiffany Blue and black, Havana on striped Tiffany Blue and Havana, transparent turquoiseand green iridescent, and transparent purple and red iridescent. The two slim temple bars that represent the Return to Tiffany Love wide hinged cuff are crafted in silver, pale goldand a rose-colored metal inspired by Rubedo® metal with the distinctive laser-engraved “Please Return to Tiffany LOVE” heart tag accent. 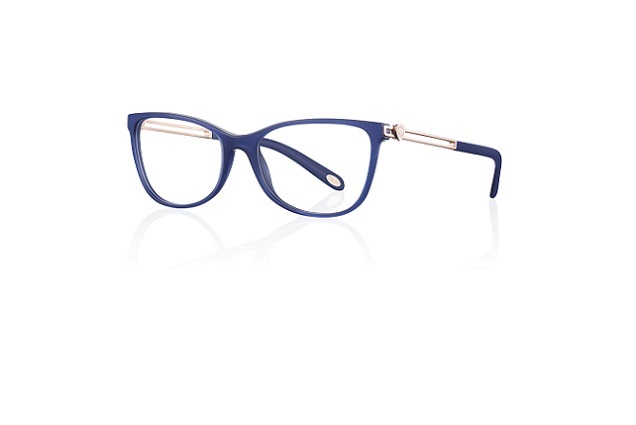 A Panthos-shaped acetate frame is designed in black or Havana on Tiffany Blueand a variant of bicolor options including transparent purple, gradient lilacand transparent purple, as well as transparent petroleum blue gradient and transparent petroleum blue. 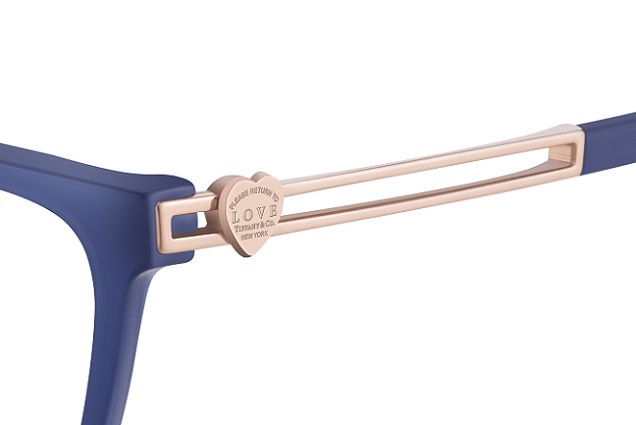 The bold temples have the distinctive laser-engraved “Please Returnto Tiffany LOVE” heart tag accent repeated three times and are offered in silver, pale gold and a rose-colored metal inspired by Rubedo® metal. Some versions available in Asian fit. This style will also be featured in the new eyewear campaign launching January 2017and will appear in media outlets and select optical stores worldwide. 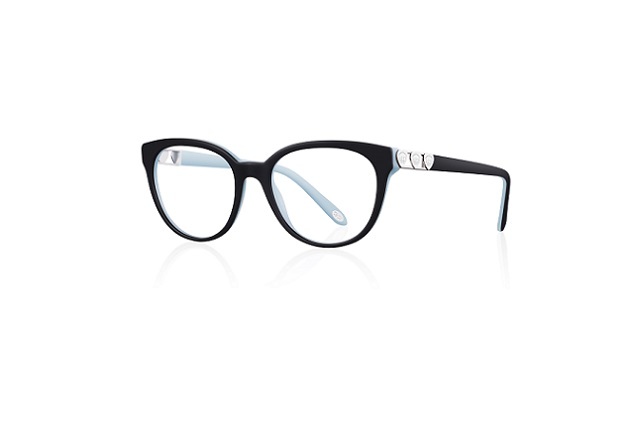 A sleek and feminine cat eye-shaped acetate frame is offered in black or Havanaon Tiffany Blue, opal dark cherry and opal blue. The two metal bars that representthe Return to Tiffany Love cuff are crafted in silver, pale gold and a rose-colored metalinspired by Rubedo® metal with the distinctive laser-engraved “Please Return to Tiffany LOVE” heart tag accent. Some versions available in Asian fit.